Salty Air Open Market is an outdoor space for local artists, collectors, and farmers to share their wares in the salty air of our beautiful NC coast. Our market mission is to foster an environment for families to shop with our local artisans and small businesses while enjoying opportunities to eat, play and experience the outdoor beauty of our idyllic location in Cedar Point. Each week, our vendors bring you local seafood, freshly roasted coffees, baked goods, handmade crafts, and sought after direct distributor products. Beyond shopping, Salty Air provides a place to be a part of the community. 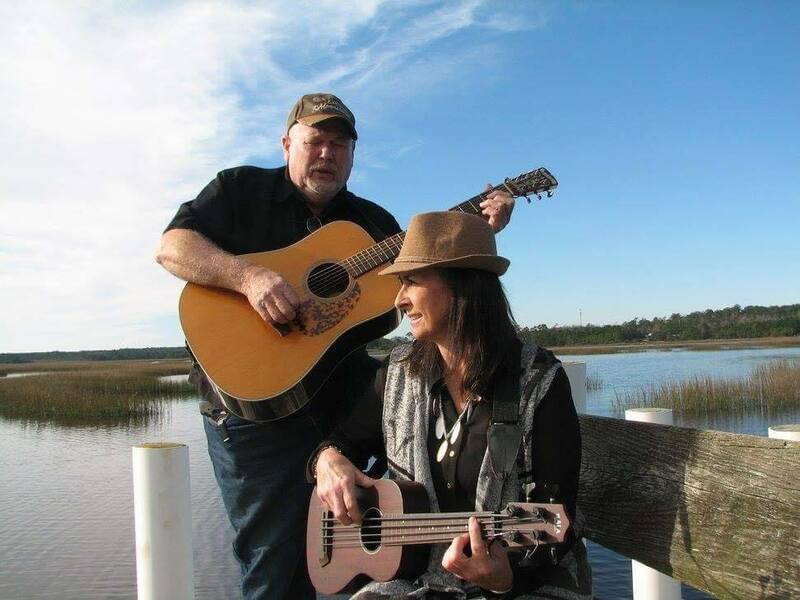 Listen to local musicians play while sipping a hot or cold coffee from Croatan Coffee Roasting Company. 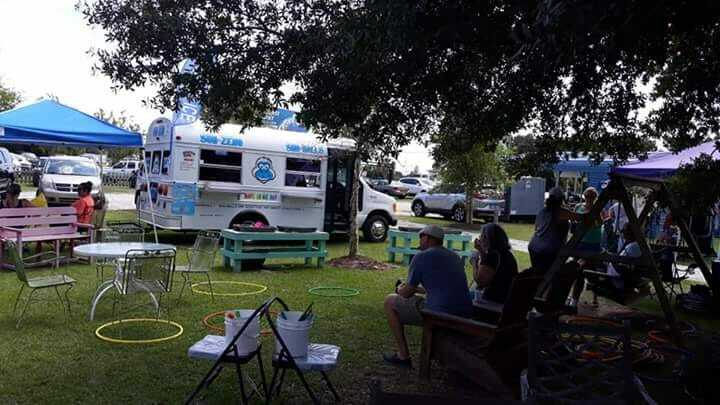 Eat lunch from one of our local food trucks and enjoy a cold beer or glass of wine from our on-site beer & wine garden, The Salty Bee. Support a good cause like Ronald McDonald House or Crystal Coast Hospice House at one of our fund-raising events. Bring the children to play in our sensory sand-bins and bring your pets to enjoy the outdoors along with you. There’s always something going on in the Salty Air! "This is a well thought out market. Unwilling to offer anything but the very best that the local community has to offer. Each of the vendors comes with their own excellent reputation for quality and service. Fresh off the farm foods, exciting food trucks, live music, and warm and knowledgeable staff. This is truly a one-stop shop for your daily needs!"